Call of Duty Movie, Skylanders TV Show Announced | Nerd Much? If you’re one of the many gamers whom has grown tired of seeing Call of Duty everywhere, be prepared to roll your eyes. Today, Activision Blizzard announced that a Call of Duty movie universe is in the works, as well as a Skylanders TV show. According to the Investor Day presentation prior to BlizzCon, the company announced Activision Blizzard Studios, which will focus on creating original films and TV shows. 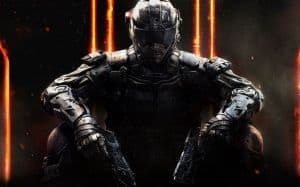 The first film project will be a Call of Duty movie, which will be developed into a series, with the possibility of “television adaptations” coming as well. There is no concrete Call of Duty movie release date just yet, but Activision says the first film is expected to hit in 2018 or 2019. As far as the Skylanders TV show is concerned, the show is currently in production, although there’s no network for it just yet (it has Netflix written all over it, if you ask us). The show will titled Skylanders Academy, and it will star Justin Long as Spyro, Ashley Tisdale as Stealth Elf, Jonathan Banks as Eruptor, and Norm Macdonald as Glumshanks. The cast will also include Harland Williams and Richard Horvitz. Of course, Activision Blizzard picked the perfect day to announce the movie, since Call of Duty: Black Ops 3 drops today.